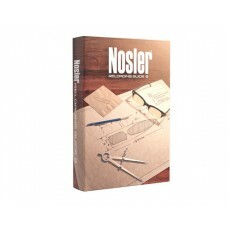 Founded in 1948, Nosler, Incorporated is a family-owned company located in Bend, Oregon. Nosler is best known for revolutionizing big game hunting with its world famous Partition and Ballistic Tip bullets. With the company motto Quality First, Nosler manufactures premium component bullets, brass, ammunition, and semi-custom rifles for domestic and international customers. "For us, excellence is not negotiable. We ll never sacrifice quality for cost. We don t cater to every trend and we aren t everything to everyone. We know who we are and being true to yourself allows you to become the best at what you do. For us, that s building the most innovative, most accurate and most effective bullets and ammunition in the industry. By a longshot. Our products lead the pack, because they re built with equal parts ingenuity and integrity, passion and precision, consistency and confidence. The truth is, we owe it to you. Trophies, victories, lives there s too much at stake for second thoughts or second chances. You won t settle, and neither will we."